October 30, 2015 at 4:19 pm. Our holiday cottages on the Aldourie Estate behold some of the most picturesque views of Loch Ness and the Scottish Highlands during the colder months. Snuggle up in our recently renovated cosy cottages for your winter Highland holiday or use our ideal location as a base for walking or cycling stays. 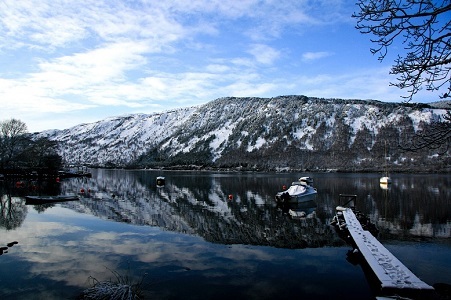 Short breaks during winter on Loch Ness were never more appealing. Book November to March for Aldourie’s special autumn / winter offer, which features a reduced rate on all cottages, and make your short break in Scotland with family or friends one to remember.  Heating and electricity are included and bed linen and towels are provided. Aldourie parkland is awash with rich colour come November as a mix of crimson and rustic reds, burnt orange and delicate golds burst onto the scene. The evergreens stand their ground and try their hardest to be prominent but it’s the New England fall colours that take centre stage. The Scottish Highland hills make for a wonderful postcard picture and – bonus – they offer the most breath-taking and soul lifting walks in Scotland. All the more reason therefore to book onto Aldourie’s fabulous new Winter Offer in one of our four traditional country cottages. Create your own nostalgia: log burning fires and snuggly tartan blankets block out the cold winds as you look out onto a blustery landscape although we do recommend making the most of your stunning and ideal location by wrapping up warm and venturing out into the Castle grounds to discover your own little piece of autumnal Aldourie, rejoice in Scottish wilderness and make some lasting memories. 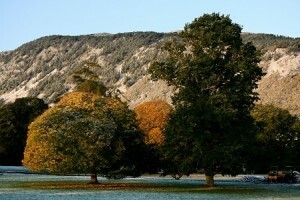 So, you have the chance to stay in the enchanting Scottish Highlands for your winter short break. 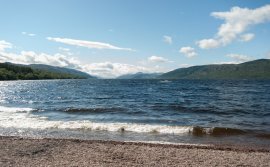 Where better to appreciate this dramatic landscape that on the banks of Loch Ness, the most famous stretch of water in the world? 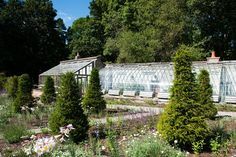 The setting at Aldourie is second to none, even though we say so ourselves. 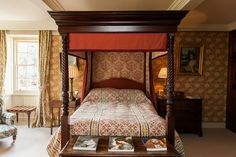 You have the silence of the woodland, the peacefulness of the hills, the nostalgia of Aldourie Castle to view up close at your leisure and the variety of Scotland’s wildlife on your doorstep. Add the fact that winter is sure to bring a blanket of snow from December onwards and your winter wonderland awaits. 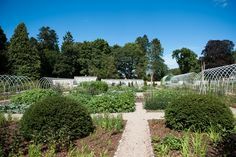 Walk the ethereal trees of the Aldourie arboretum and crunch along frosty Dores Beach to the Inn for a whisky or three course dinner and watch the gentle bob of Loch Ness from the comfort of the fireside. 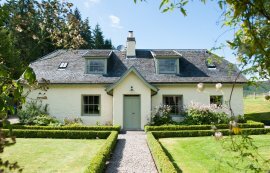 Hike or cycle the snow-capped peaks and return to your den – aka one of Aldourie’s cosy winter holiday cottages – for a warming coffee, a soothing hot bath or to curl up with a good book on cosy settees. ALDOURIE WINTER SPECIAL OFFER ON SHORT BREAKS IN SCOTLAND IS VALID ON ALL NEW BOOKINGS: NOVEMBER – DECEMBER 2015 / JAnUARY – MARCH 2016. March 19, 2014 at 5:25 pm. 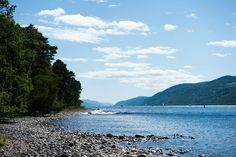 Get away for the weekend with Etape Loch Ness and cycle around the stunning surrounding landscape. Then return home to a cosy Scottish cottage for a relaxing evening. For unrivalled scenery along traffic free roads, Etape offers a closed road 67-mile / 107-km route for keen professional or amateur cyclists. 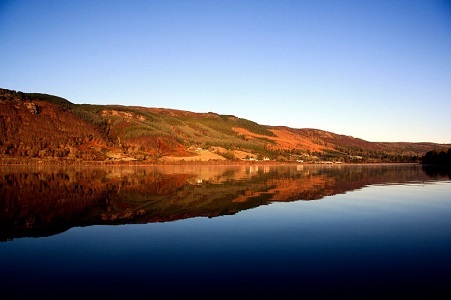 Aldourie Castle Estate also features four traditional self-catering Loch Ness holiday cottages. All have fabulous scenic views and lush surroundings. 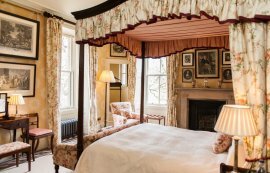 Placed around the 500 acre parkland the cottages offer 2 and 3 bedroom accommodation for couples, families not to mention group stays. Our special holiday promotion is available from the 4th May 2014 for long weekend breaks at £500 per cottage. 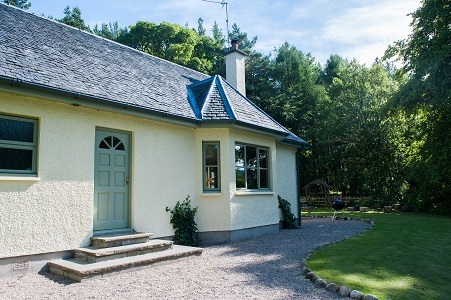 Please click here for details, floor plans and images for Aldourie’s Holiday Cottages and book through our contact page.